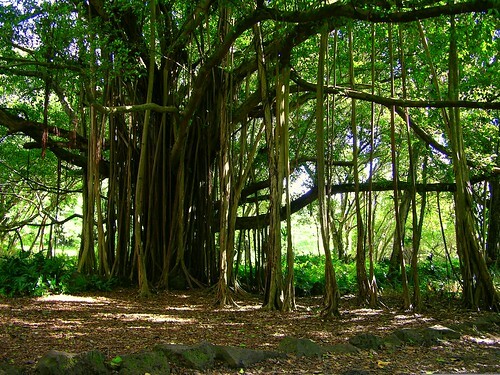 An interesting feature of the Banyan tree is that it drops roots down from its branches that become additional trunks that serve to support the weight of the branches. This in turn allows the tree to spread out over a rather large area. There are several different species from the Ficus genus that are commonly called Banyan although the true Banyan tree is the Ficus benghalensis. volcano. It spans a large variety of environments, and is also home to unique life species. I love this blog. I stumbled across you during my research for a film I'm helping to produce called TreeStory - a documentary about trees, and our relationship to them. What amazing photos and infromation you gathered about these wownderful trees, thank you. Would you mind if I shared some of your photos on our facebook page? I will add a link to your blog on it.